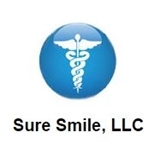 Sure Smile, LLC New York /Expert Dental CT (Scarsdale) - Book Appointment Online! Our dental practice is a beautiful, full-service office. We offer a relaxed and comfortable atmosphere and are especially great with fearful patients. We offer a variety of cosmetic procedures. In addition to Zoom! One-hour whitening, we offer 20-minute power bleaching. We also offer restorative dentistry including placing and restoring dental Implants. Our office will make you feel relaxed and comfortable.